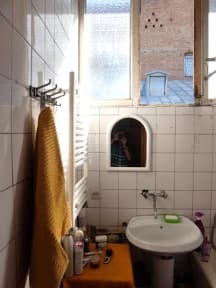 Valdi Hostel i Tbilisi, Georgia: Bestill nå! Situated in excellent location - in the city center, 10 minutes walk away from Freedom square and main attractions of Tbilisi. Metro and bus stations are within walking distance. 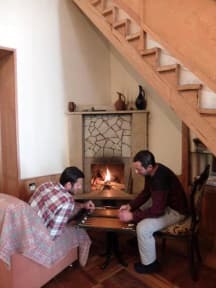 All the rooms have their own heating. No extra charges on facilities - at Valdi everything's free! Coffee,Tea,Washing machines and map of the city. About Us; we are Leila and Zura we live with are two kids 16-18 they are lovely and a wonderful, English Setter Dog name Valdi he is the sweetest thing you will see. We change the linen and provide towel on a regular base Free of charge!